Too hungry? 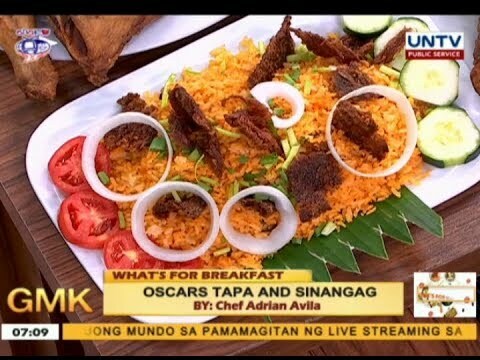 Relieve your hunger by making this on-the-go tapa recipe from Ms. Nex Esteras. Craving for Korean cuisine? 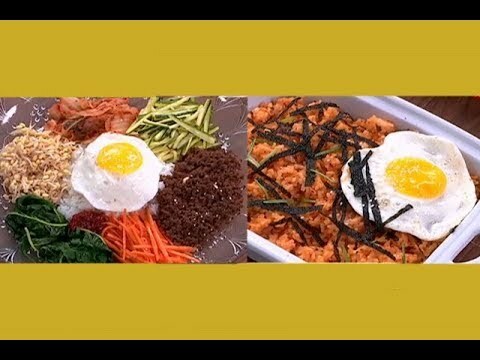 Watch and learn from Chef Grace Villamor and Chef Ace Guevarra’s how to make Bibimbap and Kimchi Fried Rice. Want to have a healthier version of Bicol Express? Try Chef Radj Amado’s Bangus Express recipe, where he replaced pork with boneless bangus. Tired of the same old pasta and salad? 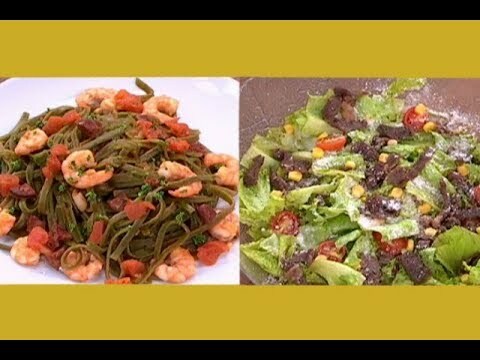 Try Chef Markus Patimo and Chef JV Bautista’s Shrimp Malunggay Pasta and Rosa Beef Salad Recipe. A perfectly cooked tapa and garlic rice is a satisfying breakfast meal! Watch Chef Adrian Avila as he teaches us how to prepare this dish. 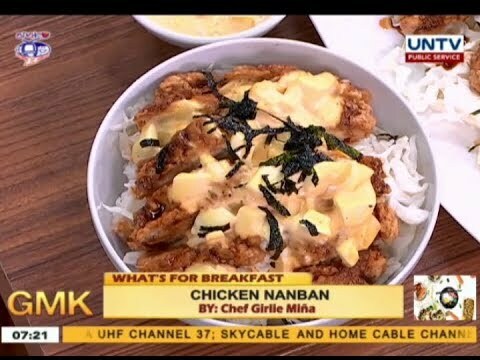 Chef Girlie Miña demonstrates how she cooks her own version of Chicken Nanban, a deep-fried chicken recipe with a delish sauce topping. Discover another delectable dish that will surely add spice to your morning routine. 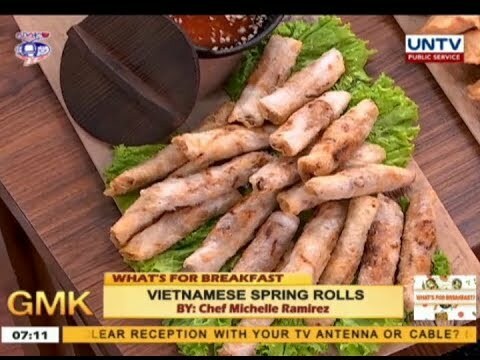 Chef Michelle Ramirez prepares her recipe called Vietnamese Spring Rolls. 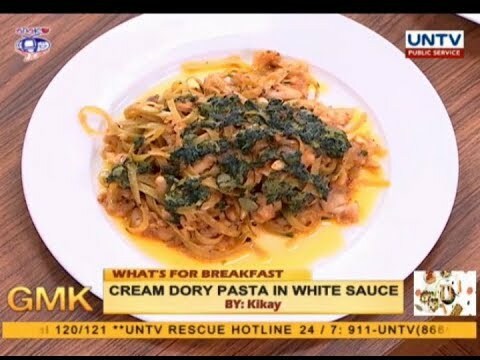 Kikay shares her own version of Creamy Dory Pasta in White Sauce recipe! Watch this video and try to make one for your loved ones. Brighten up your morning as Chef Jion Rodoña demonstrates how to cook his recipe of deep fried chicken lollipops glazed with adobo sauce or simply Adobopops! Exploring more pasta dishes? 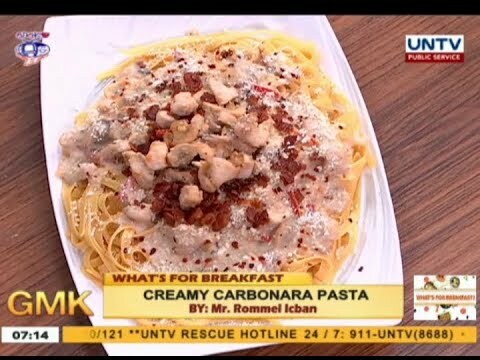 Watch Mr. Rommel Icban as he demonstrates how to cook Creamy Carbonara Pasta for your breakfast meal. Try it! Looking for a new and delicious pasta recipe? 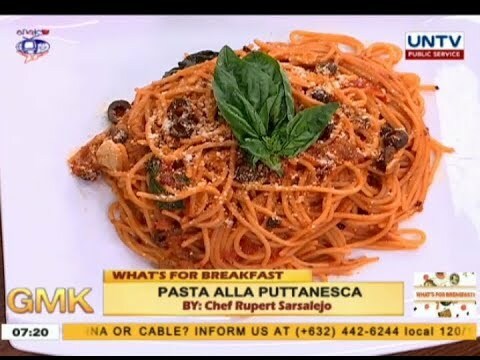 Try Pasta Alla Puttanesca by Chef Rupert Sarsalejo. Watch this video to learn how to cook this dish.